There are so many benefits of being in musical theater lessons – they’re almost countless! Not only will your child be with children their age and learn to interact with them socially, they are learning skills that will be with them for their whole life! 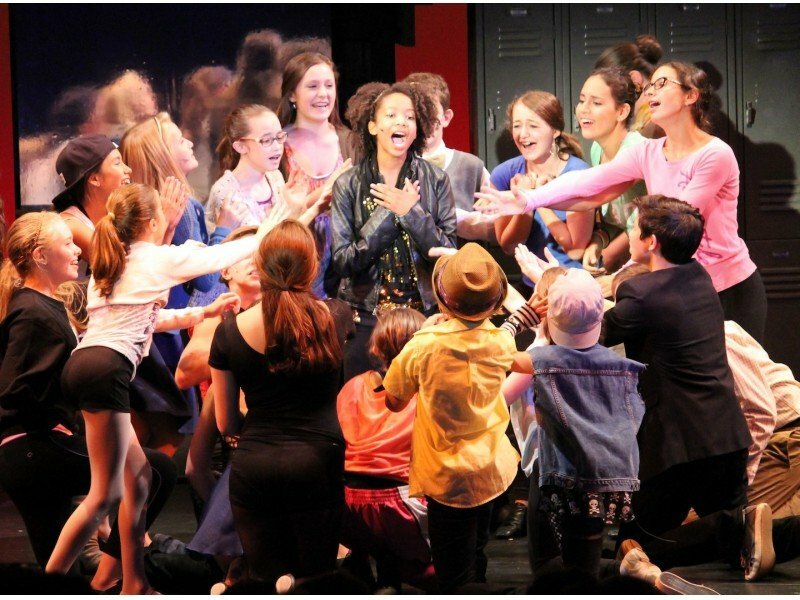 Musical theater teaches drama skills, dancing skills, and vocal skills while also instilling your child with some amazing social skills that will bring them out of their shell and help them excel in all areas of their life! Musical theater kids are confident! They have amazing stage presence and this translates to their everyday life, too! Here at Omaha School of Music and Dance, we have wonderful musical theater lessons for any age group to get your child into the music and dance world! Help them shine on stage after learning what benefits can come from taking a musical theater class! Music is a wonderful tool for students to express themselves and learn a musical instrument – the voice! Learning music and singing keeps your child’s brain active while also boosting their memory. This tool is essential for musical theater because it helps them remember their moves and their lines while developing coordination and concentration! It is also a wonderful activity to get children start in the music industry. Learning to read music and perform music is a skill that will carry with your child for their whole life! This is something they can take with them to school and college and even in their daily lives. Being a musician is hard work and musical theater is a great way to teach your children the importance of communication and interaction. This can really set them apart from the rest when it comes to their school work, their social life, and their future adult life! With sharp mental alertness and enhanced well-being from learning how to read and perform music, your child will burst with showmanship! Musical theater is the best way to bring music and dance together! Not only will your child learn how to perform a musical piece, they will learn to perform it while dancing! Dancing is a large part of musical theater and it takes some skill to sing and dance together! Learning to dance is a wonderful way to get your child into a physical activity that improve their strength, stamina, and flexibility! Although dancing has a lot of physical benefits, it has quite a bit of mental benefits too! These can improve their stress levels and help them have a way to express themselves or blow off a little steam. Dancing provides children with a creative outlet and a way to increase their self-esteem and self-worth all while performing a song – not to mention an act! Musical theater is just like taking a drama or acting class! This is a wonderful way to teach your child empathy because acting can place them in a role of someone else and they can learn to literally walk in someone else’s shoes! While learning about emotions through musical theater performances or through their character developments, your child’s imagination will flourish! This will also open them up to their own personal feelings and give them the confidence to express them freely. Performing in front of other people is also a very hard thing to do, but taking a musical theater class here at OSMD will make them feel so much more confident in their skills and in their day to day lives with their friends and new people they meet. Putting these three skills together is imperative for a musical theater student to be successful – and they can learn all of these skills right here at OSMD with our musical theater classes! There are so many wonderful benefits to musical theater and these are just a few of them! You can come find out how many more there are if you stop by and register your child for musical theater classes with us! We are located right off of 144th and Dodge here in Omaha! Or you can call us at 402-515-9639 to schedule a class time! We are so excited to have you and help your little one learn the power and love of music and dance! Watching them grow into amazing actors and actresses and putting all their hard work into these three skills is our best reward!